Directed by Armando Iannucci. With Steve Buscemi, Simon Russell Beale, Jeffrey Tambor, Andrea Riseborough. Moscow, 1953. 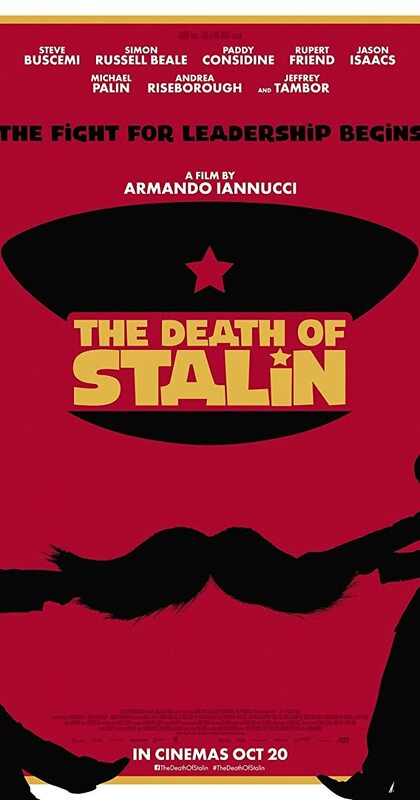 After being in power for nearly 30 years, Soviet dictator Josef Stalin takes ill and quickly dies. Now the members of the Council of Ministers scramble for power.